I spent this past Saturday evening among real heroes and movie stars! 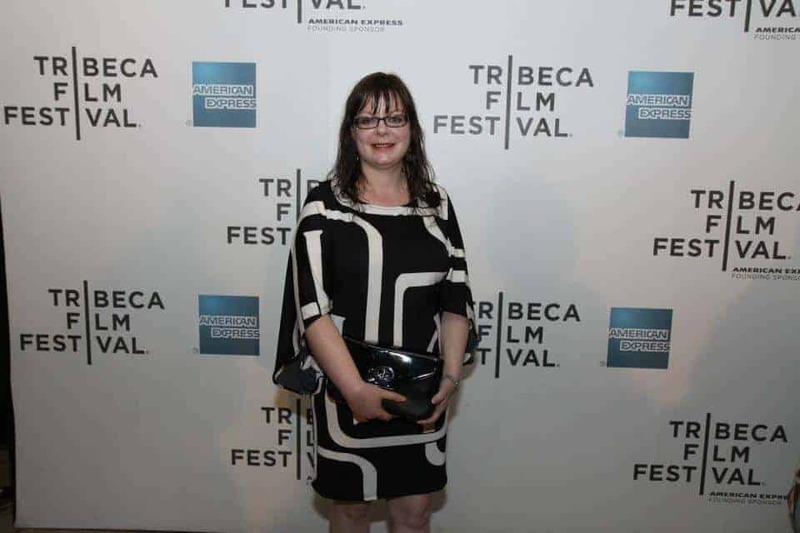 I had the honour of attending the closing night screening of Marvel’s The Avengers at the Tribeca Film Festival. My mom and I went shopping in Halifax the week before and I bought a new dress to wear. We were supposed to dress “chic” and “stylish” in cocktail dresses and I was grateful for my mom helping me pick out my dress. My hair was another matter. I forgot all my hair products at home. The hotel was supposed to bring me up hairspray but never did. I called Jen from Eighty MPH Mom in a panic and asked if I could borrow her mousse. I normally always wear my hair in a ponytail so wearing it down and curly was a change. Me on the Red Carpet after the movie. 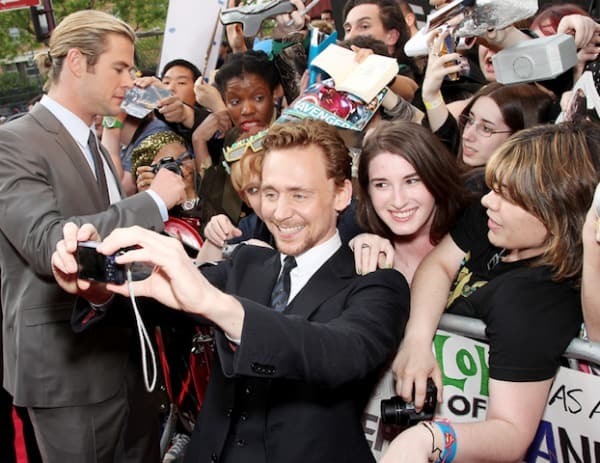 When we arrived at the Tribeca Performing Arts Center, we were greeted by a mob of paparazzi and fans. It was crazy!!! It was like it looks on TV with people packed together and shouting and camera flashes everywhere. I was overwhelmed taking it all in, but in a good way! I said a little prayer that I wouldn’t fall in my heels. Marshall gave us all our tickets to get in and we were told to get our cell phones and ID ready to check at the door. Everything was moving so quickly it was hard to keep us all together. We didn’t get to walk the Red Carpet, but we were very close to it- maybe 7 to 10 feet I think. I saw lots of movie stars as they came down the Red Carpet and talk with the press. Chris Hemsworth who plays “Thor”. Make sure you also watch Thor– it’s another good one. 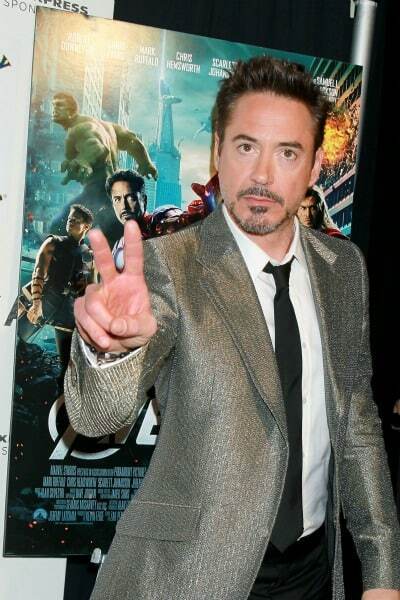 Robert Downy Jr. who plays “Iron Man”. I’ve had a crush on him since he was in Chances Are. Mark Ruffalo who plays “The Hulk”. My mom is a also a huge fan of his. Cobie Smulders who plays S.H.I.E.L.D. Agent Maria Hill. This is her breakout role into film and she was phenomenal. She’s from Canada too! Clark Gregg and his wife, Jennifer Grey. He plays “Agent Phil Coulson” and she is “Baby” from Dirty Dancing! Michael J. 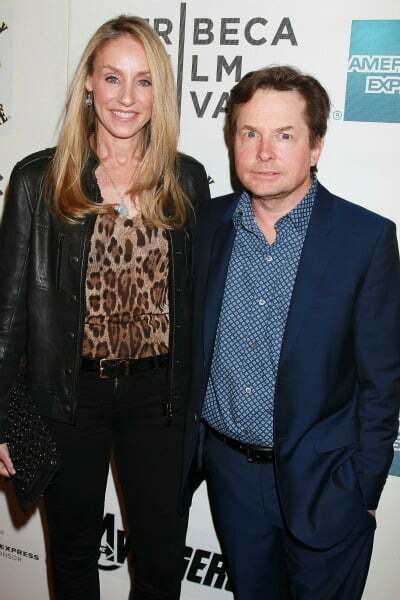 Fox and his wife Tracy Pollan. I’ve been a huge Michael J. Fox fan since the early 80s when he was in Teen Wolf and Back to the Future. He’s also a Canadian. 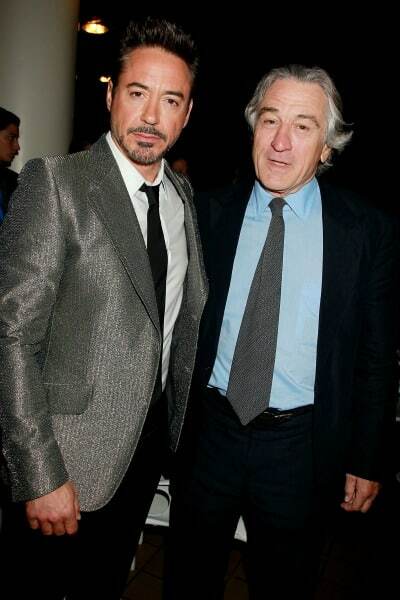 Robert Downy Jr. & Robert DeNiro. Robert DeNiro is one of the co-founders of the Tribeca Film Festival. This was my first time ever being this close to movie stars. I live in a small town in Nova Scotia and there’s no way I’ll run into any famous people while out doing my groceries. It was one of the coolest experiences of my life and a night I will never forget. Congratulations on attending that fabulous event. The movie looks like it is one of the blockbusters this summer. I don’t know much about the other movies but I have enjoyed other Marvel movies. What an amazing experience!! As a fellow Canadian blogger, with a bit of mad crush on one or two of those stars I love to hear about your experience!! Thanks Stacie. I feel like I got a glimpse of the red carpet through your eyes. I am so proud of you. You truly deserve it. All I can say about your look is you look stunning, you hair is so cute! LOVE THE DRESS!!! Thanks for sharing the behind the scenes story with us..that made it even more interesting! P.S. WANT TO BORROW THAT DRESS!! Thanks for sharing the pictures. I am so jealous lol. I a native of Houston, TX and still would never have the opportunity to meet any stars lol. There were a lot of stars here for the Superbowl a few years ago…didn’t see any of them lol. You didn’t say how you liked or didn’t like the movie!!!!! I had no idea you had a hair emergency – you looked great!